Homelessness has become a huge social problem in the UK over the last few years, as affordable and free housing has dwindled and private rent prices have sky-rocketed. Homelessness charity Shelter estimated in 2017 that there are now over 300,000 homeless people in the UK, with an increase of 13,000 more people sleeping rough on the streets and in shelters in one year alone, between 2016 and 2017. It’s no surprise then that the number of homeless people we encounter in big city centres such as Central London has risen. Begging is on the up, while authorities and charities tend to advise the public against giving over spare change, in case it encourages drug or alcohol addiction. This causes an internal conflict for many passers-by – is it helpful or harmful to give someone begging spare change? This inevitably results in feelings of apprehension and guilt. 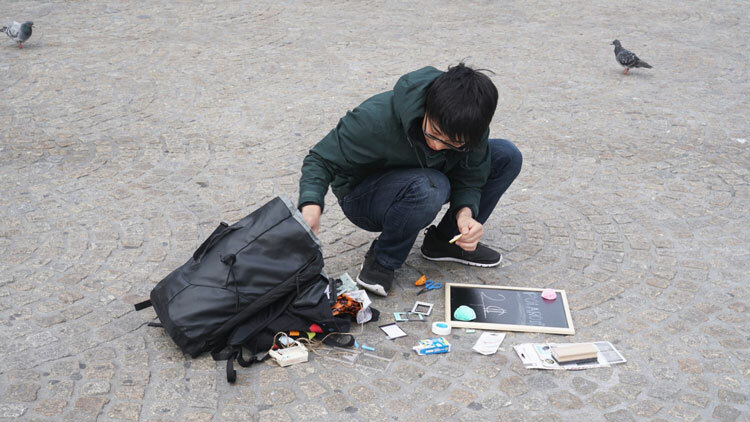 But 23-year-old Japanese designer Tomo Kihara is aiming to change the whole dynamic of helping out a homeless person. 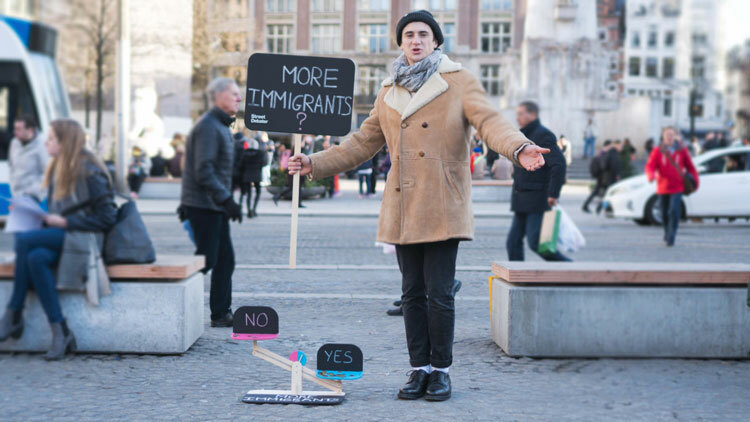 His ongoing project, Street Debater, looks to put the general public and homeless people on an “equal footing”, by encouraging them to talk and make eye contact. 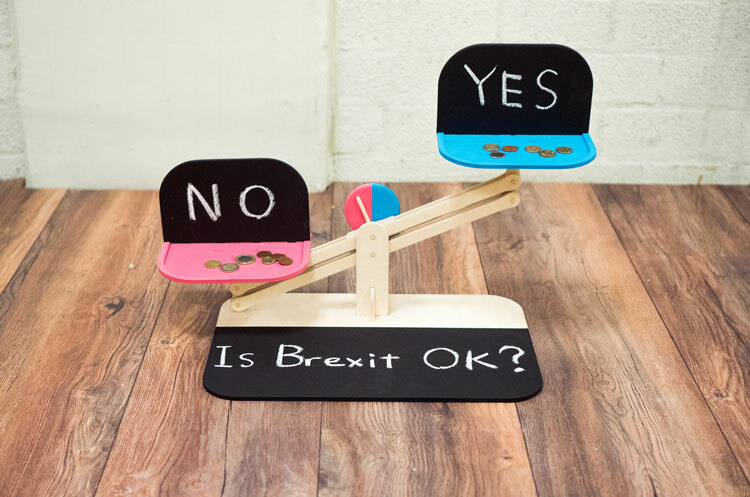 Street Debater is a design concept that encourages the public to engage in a political, pop-cultural, or just-plain-silly debate through the use of a wooden scale. 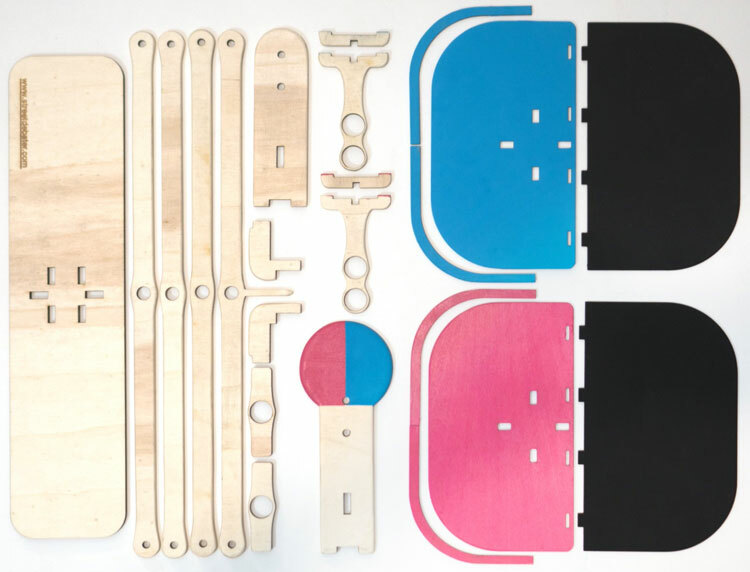 Kihara came up with the concept while studying for an MSc in Design for Interaction at the Delft University of Technology in the Netherlands. The wooden scale has a topical question attached to it, written on paper, with two options labelled on either side of the scale. 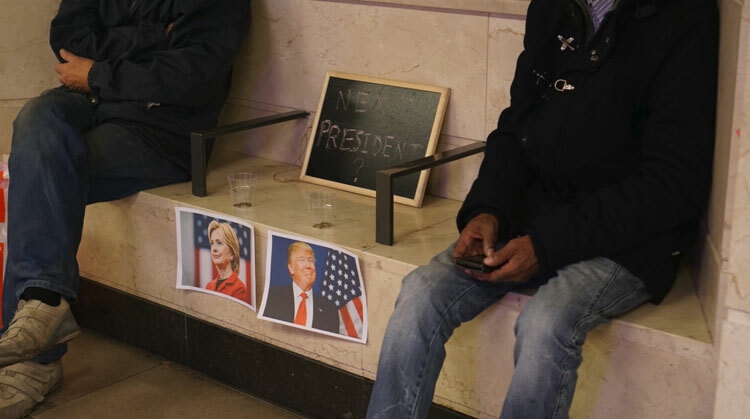 It is handed out to a homeless person, and they can then ask passers-by to contribute their opinion and vote for an option via placing change on the side of the scale they agree with. It aims to encourage engagement in interesting subjects and friendly conversation, and Kihara has intended the project to work globally by adjusting questions to different countries and cultures. 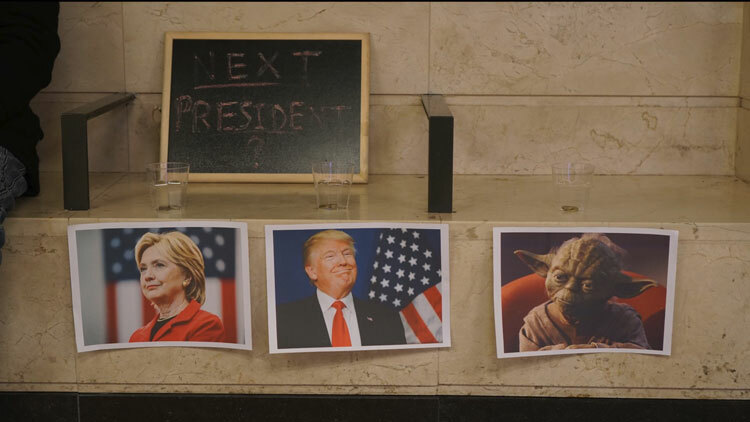 Previous examples have included “Trump or Clinton for president?”, “Brexit – yes or no?” and “Immigration – increase or decrease?” Fun, light-hearted questions have also come into play, such as “Latest Harry Potter film – good or bad?” As passers-by drop change into their chosen side, the act of “giving” to a person begging becomes interactive, topical and interesting. The project was first launched in London and Amsterdam at the end of 2016, and has since been rolled out in Rotterdam, Stockholm and Tokyo. The social design venture has proved successful; Kihara looked at the impact that using this imaginative form of debate had on the public, and his research revealed that homeless people were able to make up to £13.50 per hour using the Street Debater, and also encountered 12-13 passers-by stopping for a conversation per hour. 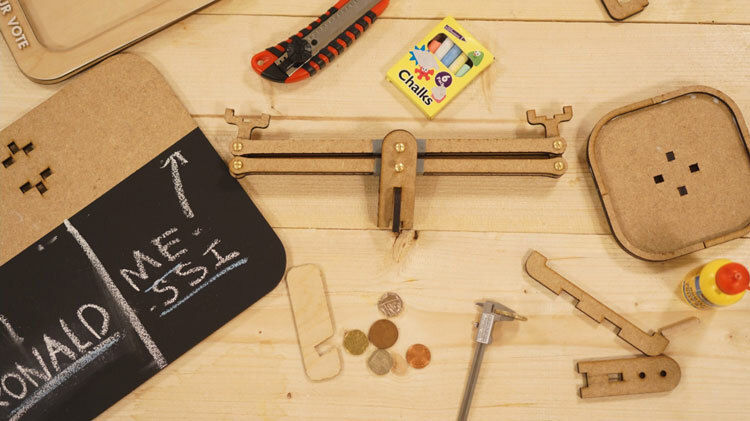 Kihara has since expanded the project, launching a website where designers – or anyone – can download open-source design files and templates, in order to make their own set of scales out of wood, cardboard or paper and hand them out anywhere in the world. The scales are relatively simple to make, he says. The point of the project is not only to increase the amount of money given to people begging, Kihara says – but also to even out the hierarchy and balance that exists when someone gives someone else money, and provide something both fun and humanising for the giver and recipient. While this project is currently suited to collecting only physical money, Kihara hopes to expand on the concept by creating a “suit” that people could wear with contactless payment sensors on either arm, allowing passers-by to contribute via credit and debit card by tapping the appropriate arm – another interesting and amusing form of interaction. While the concept has been rolled out in five cities so far, there are hopes that it could now be adopted globally. Realistically, Kihara does not claim that such a design project could “solve” a gargantuan social issue such as homelessness. Street Debater is more a way to start a conversation, highlight problems, give people a voice and a chance to express themselves, while having fun at the same time. But given the success of the project so far, it might be time that designers turn to more fun and engaging ways of tackling some of most pressing national and global issues. Street Debater is now free to download and make online, and Kihara encourages people – whether designers or not – to partake in the fun task of constructing a scale and handing it out to the next homeless person you see on the streets of your city. What an amazing idea. 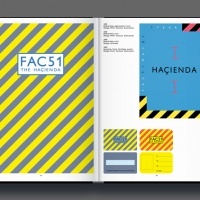 The fact that they are providing the design idea for free is laudable. Kudos to the team.